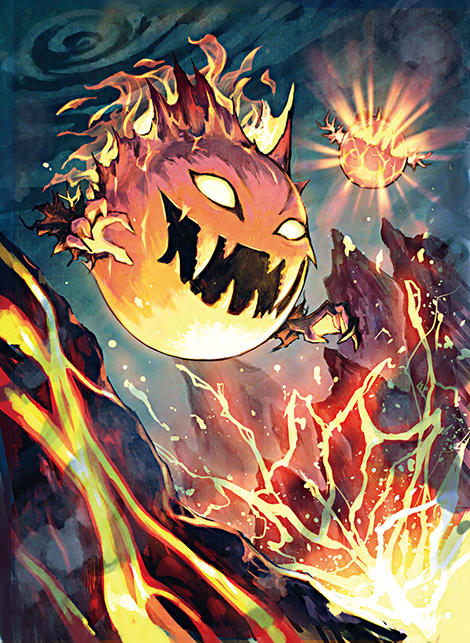 We talked to Kumiko Koike, an artist from SQEX who provided illustrations of monsters from the FINAL FANTASY series. Job designer and Echo costume designer for MOBIUS FINAL FANTASY. Designer for other titles including Grand Marche Dungeon and SaGa SCARLET GRACE. ―First, we’d like to learn a little bit about you. Can you tell us how you ended up at Square Enix and about the projects you’ve worked on? Koike: I didn’t study art until college; it was just a hobby. In my senior year, I decided I wanted to become an artist and began searching for jobs in that field. I initially worked at an illustration company for two years, and though it was an enriching experience, I applied to work at Square Enix because of my love of games. At the time, Mr. Toshiyuki Itahana was looking for an assistant, and I was assigned to work with him. ―Have you had a lot of opportunities to work with Mr. Itahana since? Koike: Yes, I would have him check my work while I completed my designs. I was in charge of designing the outfits for Echo, the faerie from MOBIUS FINAL FANTASY—for which Mr. Itahana provided character designs—and the jobs of the protagonist, Wol. 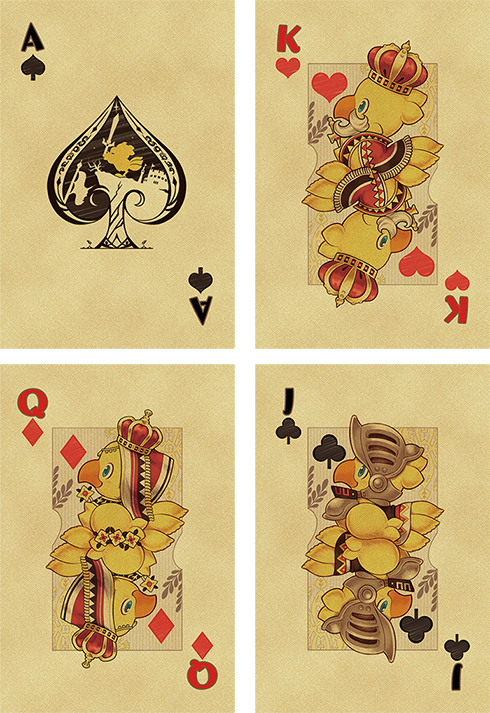 I’ve also worked on merchandise, like this chocobo playing card deck. 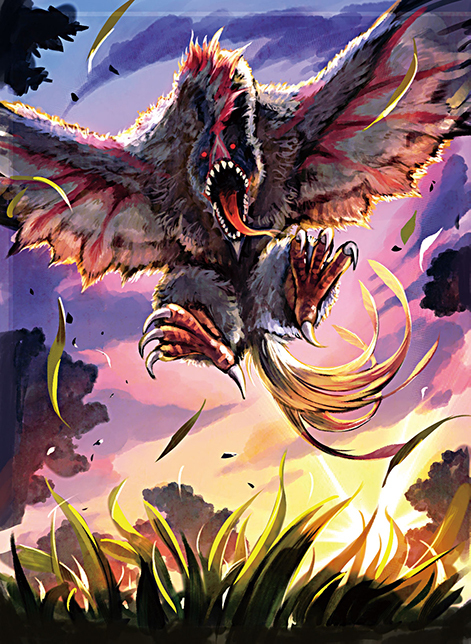 I received the FFTCG request because of these chocobo illustrations. Mr. Itahana had initially drawn some pieces for FFTCG (see them here), and I was asked if I could too. I’ve played FFVII to FFX, and I’m a big fan of the series, so I was incredibly excited! 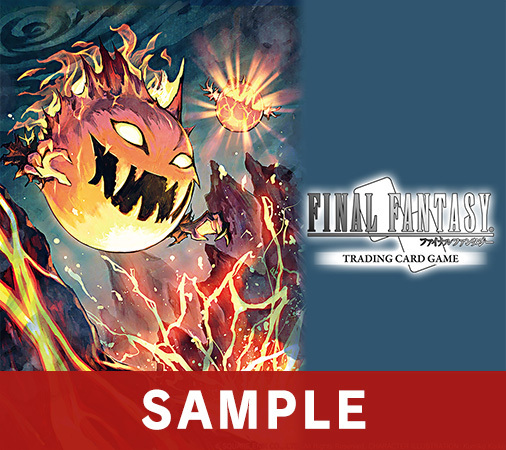 ―Your FFTCG illustrations are of prominent monsters from the series. What did you focus on during the creation process? Koike: When I received the request, I knew I wanted to stay faithful to the original designs. I wasn’t going to put my own spin on the infamous bomb or flan. 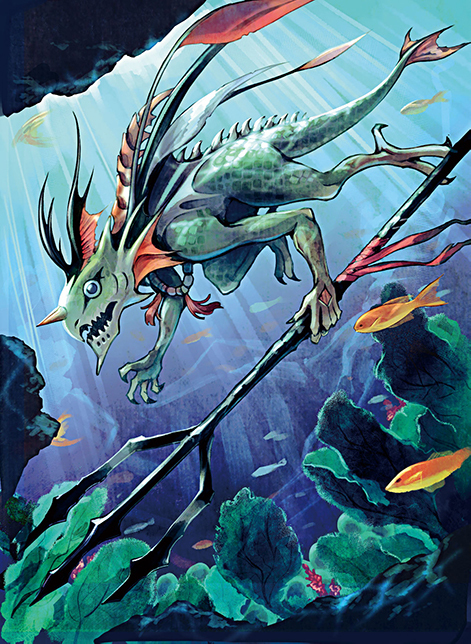 But I still wanted to differentiate my work from the FFTCG monster art that already existed, so I decided to draw them out of battle. I envision bombs making their homes in a volcanic area and their self-destruction ability a part of their daily routine, like a snake shedding its skin. I knew I wanted to give it a terrifying expression too. [laughs] I feel I was able to best express the image I had in my head with this piece. Much like the zu, this sahagin is also in mid-hunt. 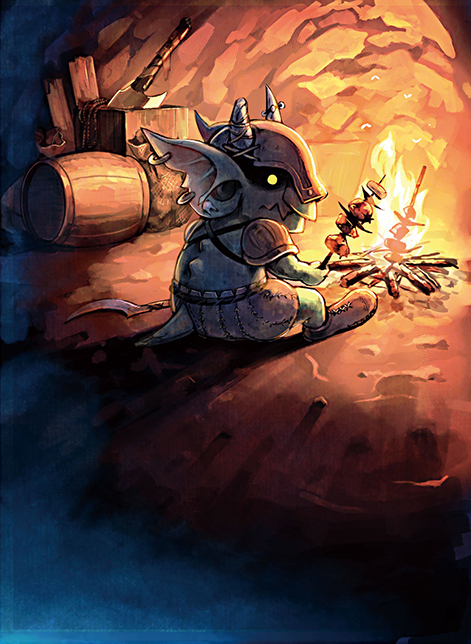 With the exception of the goblins from games like FFXI, they’re portrayed as creepy monsters, so I wanted to make them adorable. Imagine walking through a cave and coming across this guy while it’s eating. The shadows make it a little hard to tell, but it actually has a cute little face. ―The style is different compared to the chocobo illustrations. How did you decide on this specific style? 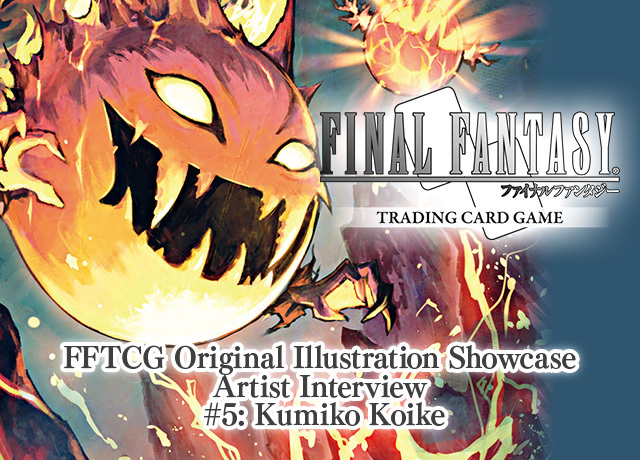 Koike: Neither the chocobo illustrations nor the FFTCG pieces reflect my original style. I challenged myself to try something new since I was asked to draw however I liked. As Mr. Itahana’s assistant, I often drew to match his style, so this was a good opportunity to create something new. I focused on contrasting the light and dark so the cards would stand out among the many existing ones. I’d also seen Mr. Toshitaka Matsuda’s work (see it here), and I made a conscious effort not to draw too much detail everywhere as I generally tend to do. Mr. Matsuda’s work focuses on certain parts but not others, and it makes your eyes drift naturally to where he wants them to. It’s impressive, and I’d love to be able to draw like that. Koike: The fact that I tried to discover a new style as I worked. I didn’t have a clear idea of what the completed pieces would look like. Through a lot of trial and error, I was able to depict the bomb how I’d envisioned, and that’s how I finally landed on a general direction for my submissions. For consistency of quality and style, I worked on all six pieces at the same time. Working on a piece one by one ends up with the first piece feeling very different from the last. ―Was this request different from any others? Koike: It was very different from what I usually do. [laughs] The biggest difference was that Mr. Itahana generally checks my work, and everything requires his approval. This request was the first time it was just me. 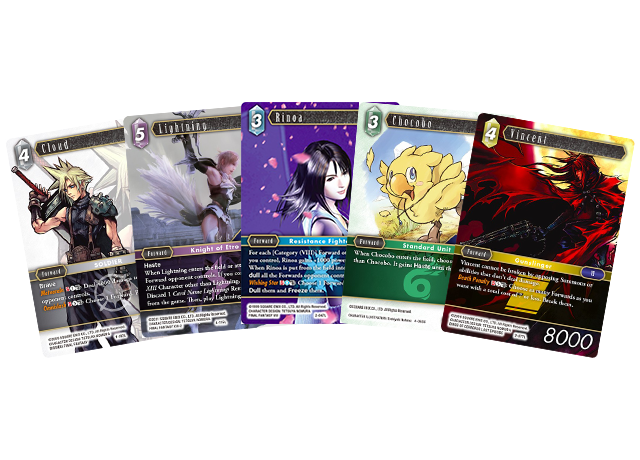 Also, I do a lot of design work, but it rarely gets published as is, so I made sure to keep certain things in mind such as what my illustrations would look like considering the size of the actual cards. Because of the nature of FFTCG, I was also able to experience something special. When I watched a video of a tournament the other day, I saw people using cards with my illustrations. I was overjoyed! Please use more of them! ―Are there any titles you’d like to illustrate? Koike: I’m currently already working on another request, but I’m personally a big fan of FFX-2, so I’d like to work on that given the chance! 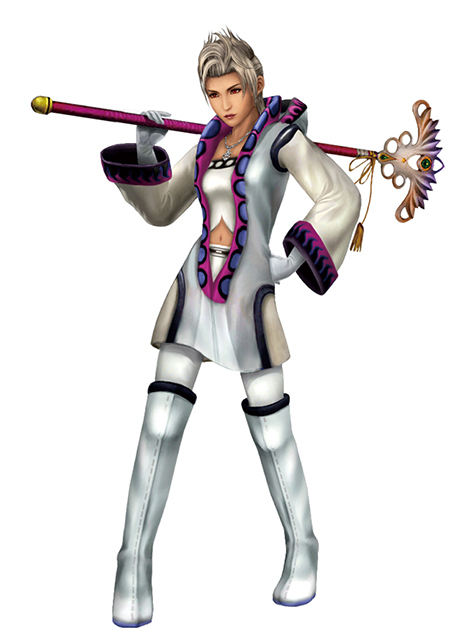 I was originally a huge fan of FFX and seeing Lulu’s outfit was the first time an FF design made such an impression. 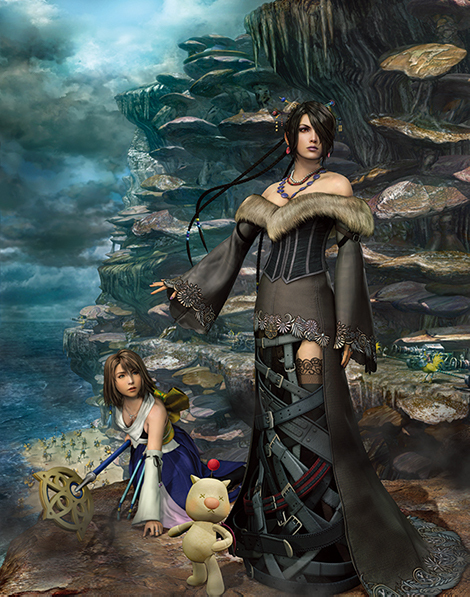 Also, there’s a feature in FFX-2 called the dressphere, where costumes determine your stats and abilities. I loved Paine’s white mage design. I realized it takes a bold choice of design to convey Paine’s character as a white mage. My favorite characters from the games are Auron and Yuna. 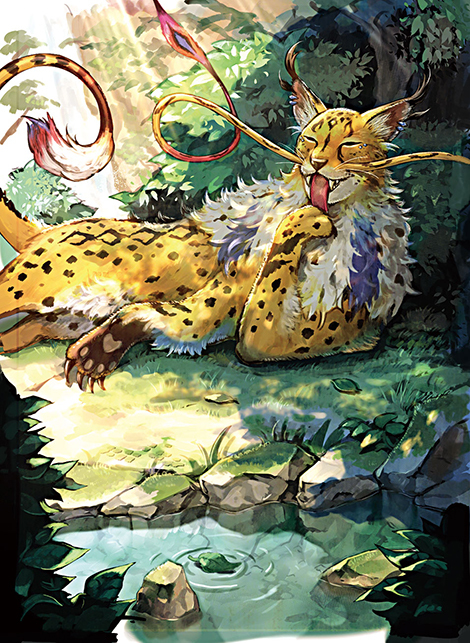 ―We look forward to seeing more of your illustrations! Thank you for your time! 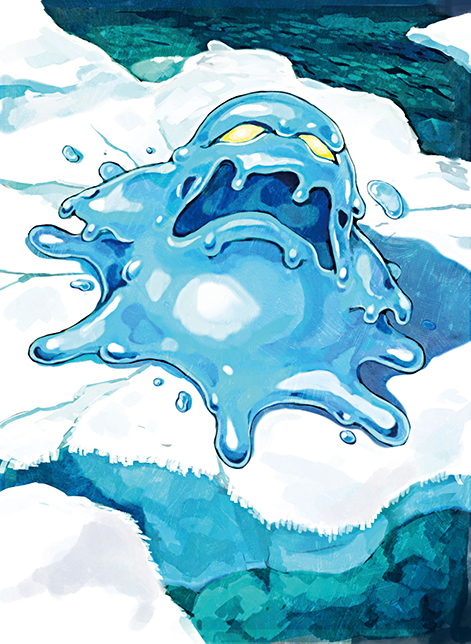 The next interview will be with illustrator Akira Oguro and will feature original art from FINAL FANTASY IV and FINAL FANTASY DIMENSIONS. Don’t miss it! Kumiko Koike’s original illustration of Bomb is now a wallpaper!